This pack has become Electronisounds most popular sample pack of all time!! The most unique feature of this pack is that ALL LOOPS are at 80bpm and ALL sounds and one-shots are TUNED to F or Fminor – even the drums and percussion are tuned so you’ll find tuned and labeled KICKS, SNARES, HATS, PERCUSSION, SYNTHS, BASSES, HITS & GLITCHES (EVERYTHING has been tuned!!). Everything sounds so amazing together and “gels” so perfectly – this pack is very inspiring. The loops range from extremely abstract and glitched-out to more traditional chillout sequences. There is plenty of room for you to add your own special “glitch” touches. Think of it as one gigantic inspirational construction kit – all the samples have been painstakingly crafted and expertly edited to gel together in such an organic and homogenous way. In the LOOPS folder you will find drum and percussion loops, melodic loops, tonal layered percussion loops, glitched top loops and combo loops. The combo loops folders are a really quick and easy way to quickly build up some amazing glitched out grooves. Use as-is, chop and re-arrange them to create unique variations, layer samples from the melodic one-shots over them and you’re fast on your way to getting new glitch tracks FINISHED. 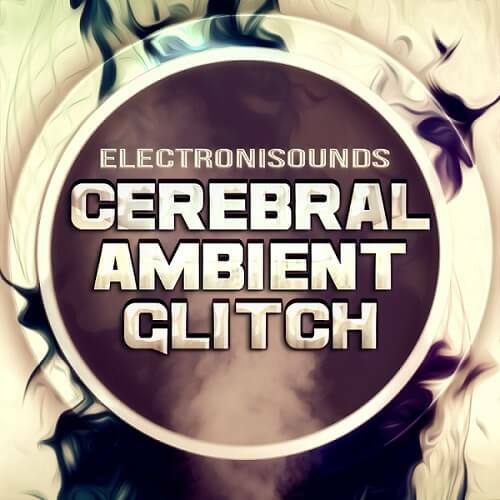 “Cerebral Ambient Glitch” is 100% royalty free, meaning you can add all of these elements to your sound without worrying about any sample clearance hassle! WAV, SFZ — Compatible with ANY and EVERY DAW!